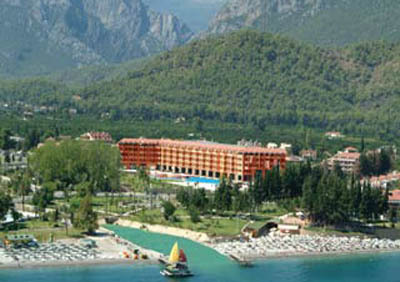 The Grand Haber Hotel is situated in the centre of Kemer with its shops and restaurants. Antalya airport is just 50 km away. 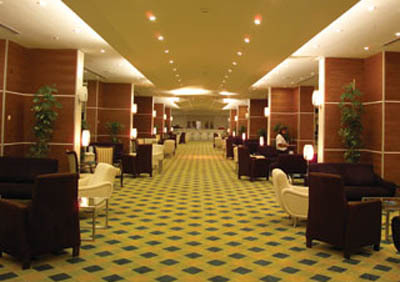 Reception with lobby, main restaurant, a la carte restaurant, bars, patisserie, disco, swimming pool with children's section, awuapark, conference rooms. Fitness, aquapark, volleyball, basketball, football, animations, table tenis, darts, boccia, tenis, mini football, Turkish bath, animations. Lightning of the tenis courts, tenis lessons,billiards, wellnes, masage, internet café. 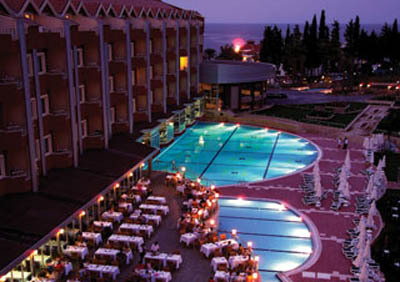 Swimming pool, miniclub, animations, aquapark. Bathroom, central air-conditioning, safe, minibar, sat TV, telephone. 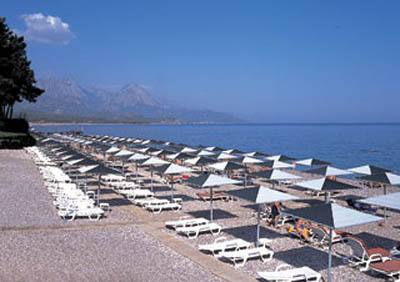 Private beach, sunbeds and umbrellas available free of charge.